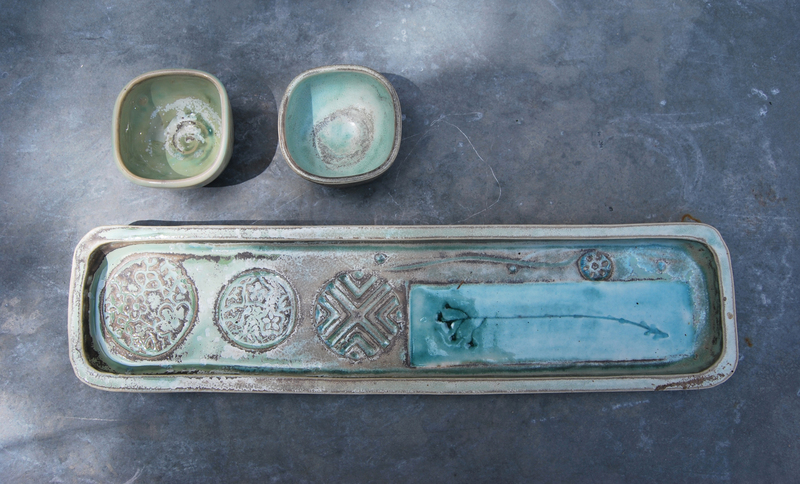 A long porcelain tray, (approx 41cm long, 11cm wide and 2.5cm high) impressed with stamps and plant specimen, with 2 small bowls all glazed with various high temperature crystalline glazes. Winner to collect in Margate. Congrats Margaret! You’re the winner of this item for £30! We’ll be in touch by email.